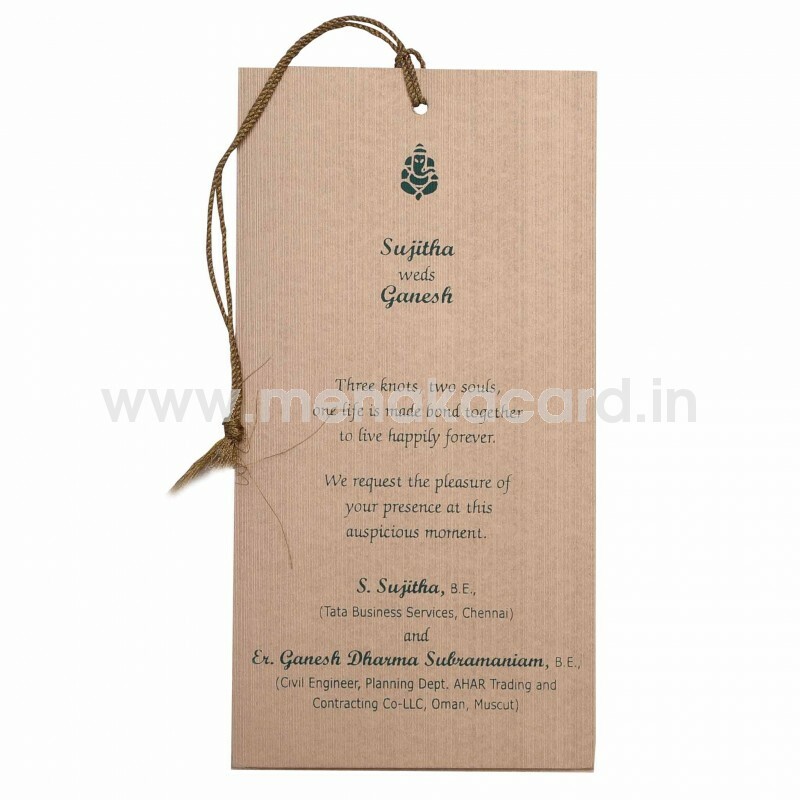 This is a slender green and gold pouch model card that the younger generation prefers for casual invitations to friends and colleagues. 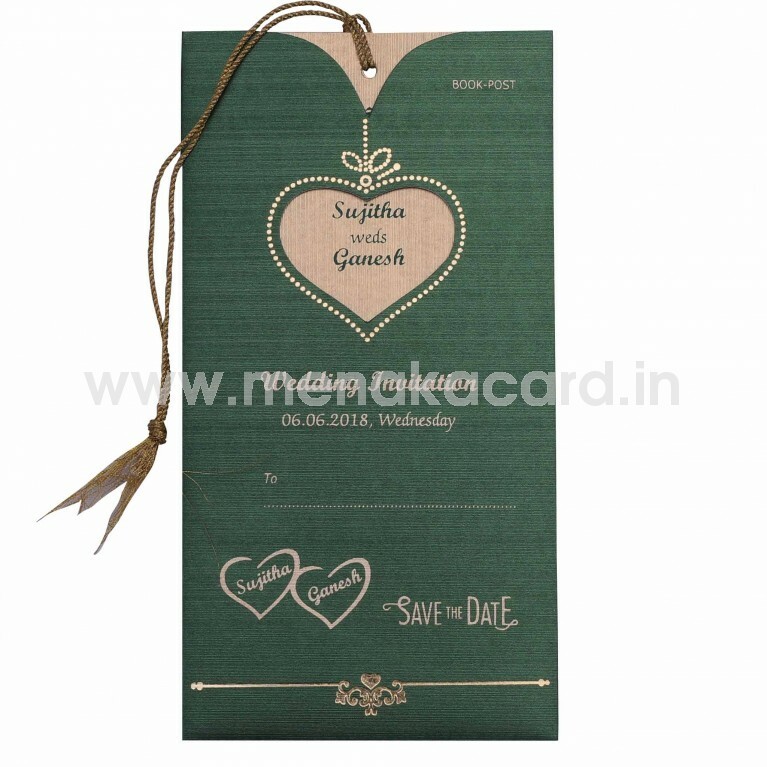 This card has a pouch with a die-cut heart at the centre that displays the names of the couple on the insert below. 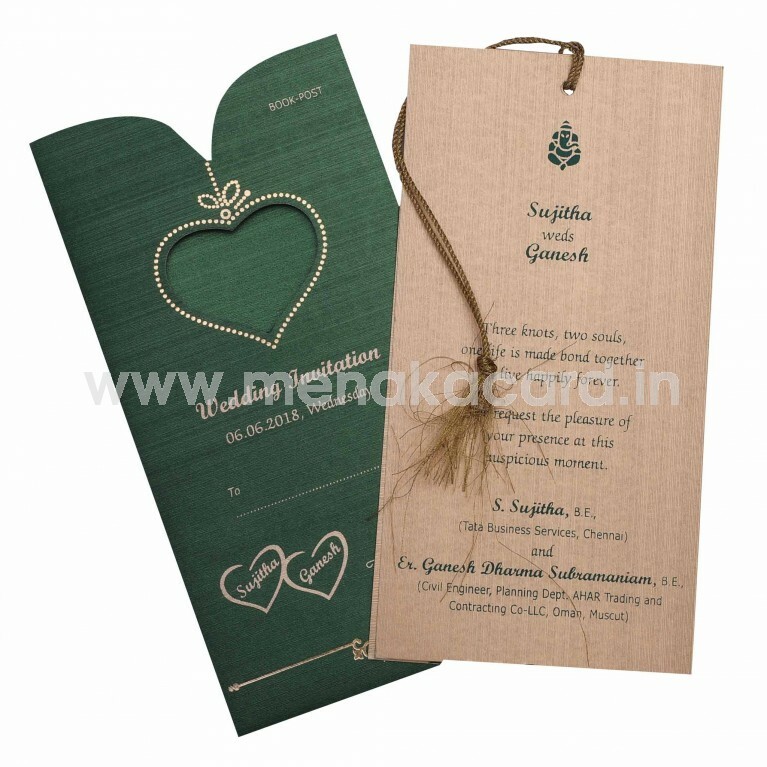 The content is contrasted beautifully with gold ink and foil designs on top. The gold inserts inside are made from a knurled shimmer board and has contrasting text in green, tied at the top with a thread.